Performing is the central means of artistic self-discovery in the Vocal Arts Program. Most of the classes require weekly in-class participation at a performance level and culminate in public concerts. Throughout the course of the program, each singer is offered opportunities to perform works drawn from the song, oratorio, and operatic repertoires. Singers work in collaboration with pianists, instrumentalists, and orchestra—in recital, oratorio, and fully-staged operatic productions. 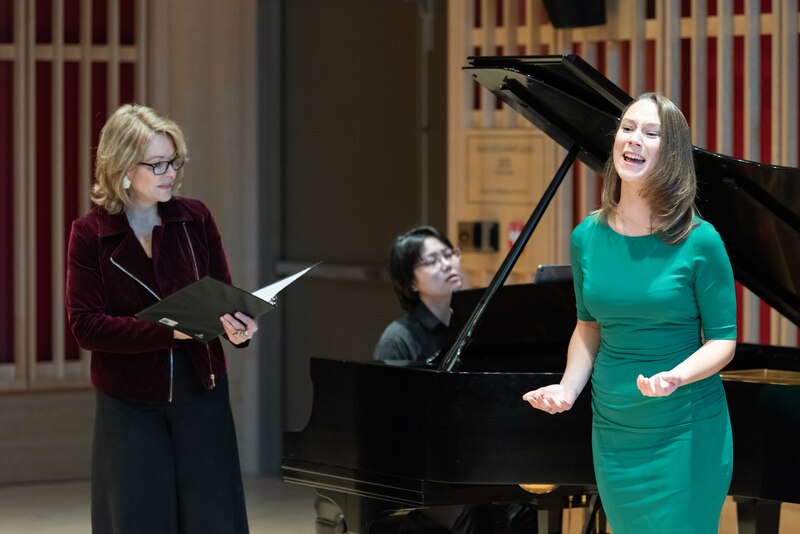 The Vocal Arts Program curriculum connects the young singer with a larger artistic world through master classes and frequent performances in the surrounding area and New York City. Performing is the central means of artistic self-discovery in the Vocal Arts Program. Most of the classes require weekly in-class participation at a performance level and culminate in public concerts. Throughout the course of the program, each singer is offered opportunities to perform works drawn from the song, oratorio, and operatic repertoires. Singers work in collaboration with pianists, instrumentalists, and orchestra—in recital, oratorio, and fully-staged operatic productions.The Vocal Arts Program curriculum connects the young singer with a larger artistic world through master classes and frequent performances in the surrounding area and New York City. Final Lecture Presentation and Performance: This is a 20-minute presentation of two settings of poems by Goethe, Verlaine, Dickinson, and/or Walt Whitman. Beattie-Powers Recital: This performance is the culmination of the first semester of diction each year, performed at the Beattie-Powers Place in Catskill, NY. French Opera Scenes Program: All members of the VAP perform with piano in staged scenes drawn from the French operatic repertoire, which have included Werther, L’amour de loin, Romeo et Juliette, Les Mamelles des Tiresias, and more..
Curated by composer, Joan Tower, and pianist, Blair McMillen, selected VAP students perform Derek Bermel’s Three Songs on Poems as part of this contemporary music series. Selected members of the VAP sing works by composer David Del Tredici in Bard Conservatory’s concert celebrating his eightieth birthday. Selected members of the VAP perform a selection of masterworks and popular holiday tunes in conjunction with the Bard orchestras and choirs. Selections included Holst’s Christmas Day and Finzi’s Et in terra pax. Performed in Bard’s Fisher Center for the Performing Arts. Selected members of the VAP perform as soloists in a performance of Handel’s Messiah in Hudson, NY. Graduate VAP students present a fully-staged operatic triple-bill of works by Igor Stravinsky, John Harbison, and Ana Sokolovic. Performed in Bard’s Fisher Center for Performing Arts, and directed by Alison Moritz. Selected members of the VAP perform in Troy, NY with the Albany Symphony in a concert of opera scenes from Mozart’s beloved operas Der Shauspieldirektor and Le Nozze di Figaro, conducted by Maestro David Alan Miller. Selected members of the VAP performed in Troy, NY with the Albany Symphony in a concert of opera arias and ensembles conducted by Maestro David Alan Miller. Selected members of the VAP perform as soloists in concert with the Bard College Symphonic Chorus and Baroque Ensemble. Performed in Bard College’s Olin Hall, and conducted by Maestro James Bagwell. All second year members of the VAP present a one-hour-long recital with a fellow from the collaborative piano fellowship program. This is an hour-long group recital of American music, performed in the fall of your second year in the VAP. All members of the VAP collaborate with selected composers on new or recently-composed vocal works, performed in the spring, in two concerts at National Sawdust in NYC. 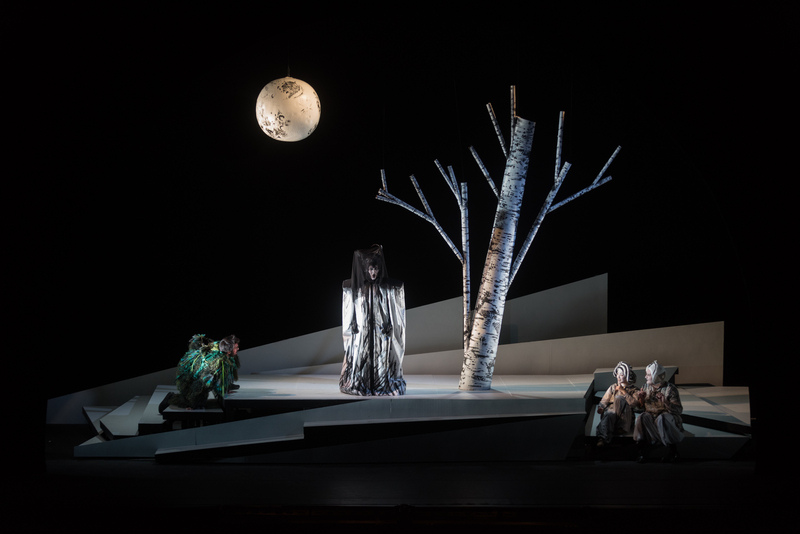 German Opera Scenes Program: All members of the VAP perform with piano in staged scenes drawn from the German operatic repertoire, including Fidelio, Die Entführung aus dem Serail, Hänsel und Gretel, and more. This recital performance is the culmination of the first semester of diction each year, performed at the Beattie-Powers Place in Catskill, NY. The vocal chamber music workshop culminates in a public performance of the students chosen chamber music piece. Participation is required once. Selected members of the VAP perform in chamber music concerts with members of Bard College’s The Orchestra Now at Hudson Hall in Hudson, NY and the Clark Museum in Williamstown, MA. Selected members of the VAP perform Brahms’ Neues Liebeslieder at the Concerts in at Camphill in Ghent, NY, along with members of the Conservatory faculty, including Kayo Iwama and Marka Gustavsson. Selected members of the VAP perform the solos in Mozart’s Requiem with the Concerts in the Village Series in Kinderhook, NY. Selected members of the VAP perform a selection of masterworks and popular holiday tunes in conjunction with the Bard orchestras and choirs. Selections inlcude Vaughn Williams’ Fantasia on Christmas Carols, and Respighi’s Laud to the Nativity. Performed in Bard’s Fisher Center for the Performing Arts. Selected members of the VAP perform selections from Beethoven’s Egmont with The Orchestra Now. Performed in Bard’s Olin Hall. Selected members of the VAP perform the solos in Faure’s Reqiuem with the Bard College Chamber Singers. Conducted by James Bagwell, and performed in Bard College’s Olin Hall. Selected members of the VAP perform the solos in Verdi’s Requiem with The Orchestra Now. Performed in Bard’s Fisher Center for the Performing Arts, conducted by Leon Botstein.